Yuuma, the swan keeper, is known for breeding swans of an unusual size. She is currently the keeper of a family of swans with a female (Pixie), male (Beau), and two babies (Bobby and Lucky). Yuuma works at the bird sanctuary, and her lake and cottage are attached to it via a bridge. She is good friends with Birdie, the manager of the bird sanctuary. One of their favorite pastimes is taking long, quiet strolls through the sanctuary together while sipping tea and discussing the birds. Yuuma is also a ballerina for the local ballet company. She is obsessed with Swan Lake, and spends countless hours creating variations of it during her spare time. She creates one new interpretation each year and stages one grand performance for the citizens of the Isle of Adelle. They look forward to it all year because her productions are truly spectacular to behold. They all admire her wonderful talent, quiet tenacity, and gentle perfectionism. 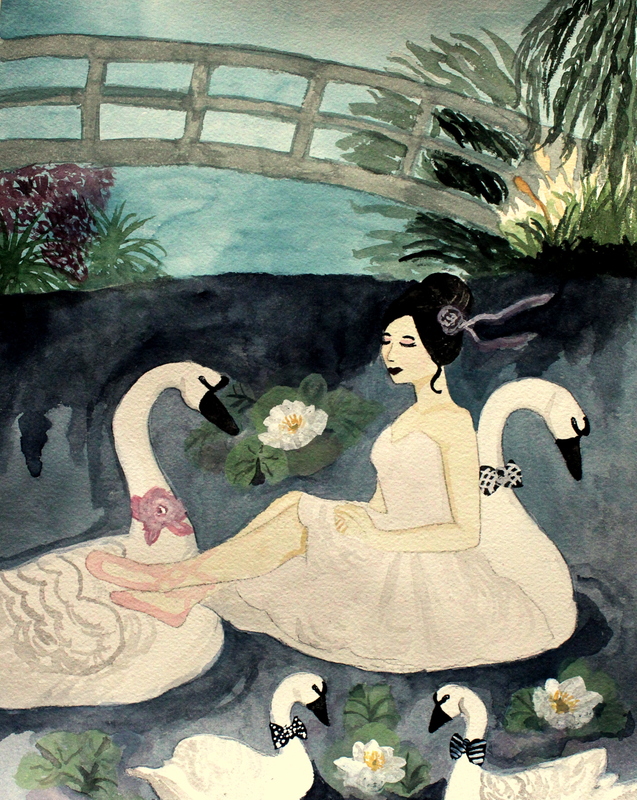 To bring Yuuma and her swans home with you, please visit my Etsy shop.